Fabinho, Jordan Henderson, Trent Alexander-Arnold, Joe Gomez and Joel Matip will be assessed before a decision is made on whether they are fit to feature against West Ham United. However, Liverpool will definitely be without Dejan Lovren and Ragnar Klavan for Sunday’s Premier League opener at Anfield. Fabinho is now struggling with illness after undergoing a scan that came back all clear on Thursday, while Henderson and Alexander-Arnold reported for pre-season later than the majority of their teammates following England’s participation at the World Cup. Gomez and Matip, meanwhile, were only able to take part in part of team training on Thursday following muscle issues. Lovren returned to Melwood on Monday after Croatia reached the World Cup final, while Klavan has a muscle complaint. 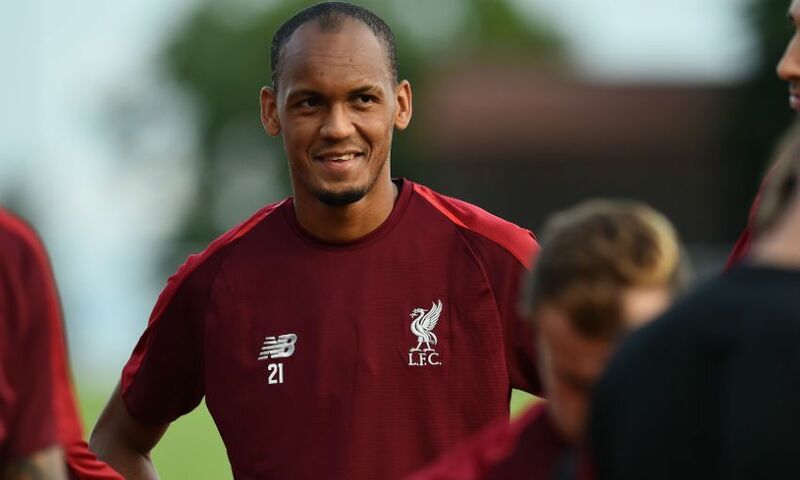 During Friday’s pre-match press conference at Melwood, Jürgen Klopp said: “The [Fabinho’s] scan was clear. It was only a check-up and the scan was clear, but he felt ill when he came back so we sent him home again. Obviously he was not feeling really well so we sent him home again and I didn’t see him so far and I didn’t ask anybody, so we will see. “They [Henderson, Alexander-Arnold and Lovren] are all in a different shape, if you want. Trent is a bit longer in, which is good, Hendo in and full of power but not too long in - now three or four days, but it’s Hendo so you always think about him. Dejan will not be available for the weekend, that’s how it is. “Anything else? We will see. We have not big issues but these little things where we have to think about is it a risk or not? And if it’s a risk, do we take it or not and all that stuff. “At the end I’m pretty sure we will have a fantastic football team on the pitch and hopefully I have to make a few decisions. It looks like in the moment that a few players are not involved, but that’s how it is.